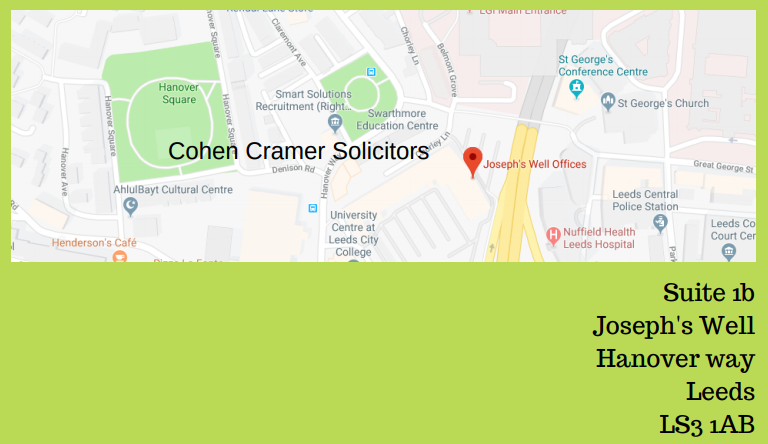 Thank you for your interest in Cohen Cramer Solicitors. We are open Monday-Friday 8.30 a.m – 5.30 p.m.
We welcome visitors to our office to discuss new matters however if you are planning to drive then please call in advance so that we can arrange a parking pass for you. Helping you get on with your life.